How are you navigating of the Old and New Earths at this momentous time? Dynamic change in all the major areas of life is rapidly accelerating and there are no indications of it slowing down anytime soon – quite the contrary. The next few years will bring unprecedented change that will challenge the status quo and our comfort zones. We will also have new experiences and epiphanies to delight our hearts and all our senses. This is why it is so important to prepare well in all areas of life, in order to be readily more flexible, adaptable, courageous, and resourceful. You and I were born for these times. I am constantly in awe and gratitude for being alive at this time, with these skills and this awareness during this great paradigm shift. Are you having typical 3D, 4D, or beyond experiences? Unusual adventures with ‘time’ are a good gauge when determining which ‘world’ or ‘dimension’ you are in. To me, they appear to merge and morph, and on any given day I can go in, through, and out of dimensions. The consensus reality has always involved some form of pain, struggle, illness, confusion, and violence, and now - wonder of wonders, we are literally in the process of birthing an entirely new Homo Luminous humanity that will not involve these challenges. For eons humans have been living vastly differing experiences of life on Earth and most can only guess at the realities of a Yemeni child, Hunza Elder, Amazonian tribeswoman, Mongolian adolescent, Japanese man, and Sudanese baby. You get the drift. We each have our own unique truths and that amounts to over 7.5 billion linear realities. When timelines touch they form a common reality, and now interestingly a large number of people are beginning to have entirely unique experiences by going beyond ‘the matrix’ of limitation. I urge you to continue being your own observer as per Module 1 and closely examine any changes in your beliefs, patterns, relationships, jobs, and lifestyle since the December Solstice of 2012. Around that time there was another influx of exquisite energies that facilitated the opening of portals to other dimensions, thus allowing those with the vibrational awareness and curiosity to explore unimaginable new worlds. The time was ripe then for greater unity awareness and understanding of the role of the physical body in awakening to enlightenment. We have now entered a place in the galaxy where opportunities for spontaneous awakening have, and will, occur for thousands more, if not millions. The acceleration of ‘time’ becoming ‘no-time’ facilitates awakening or the reconnection to Source Energy, which for most is a gradual process, although for some it can be quite spontaneous. When the process is gradual it enables the new awareness to be fully anchored, then expressed with deep understanding, stability and skill. Imagine the consequences of millions in Unity and reconnected to Source. The ‘Old Earth’ will still remain for an unknown percentage of Earth’s population, and existence for these people will continue with its present dynamics. Some worry about their loved ones ‘not making it’ and my response is that no-one can possibly know when and who will have spontaneous awakenings. Sceptical and atheistic loved ones may well be waiting on the other side of the veil with hands outstretched to welcome you. Added to that, the soul is eternal – the meaning of which is unimaginable at the dense human level. Dolores Cannon gives a very clear explanation of how the separation of the Old and New Earths is occurring. More of the how’s and why’s will become clearer as you explore my references and blog entries. •	Mother Earth as a sentient being is further awakening. •	The planet is expanding. •	Changes in solar activity and is emitting new encoded energies. •	Our solar system is traversing through a powerful inter-galactic wave of new energies, including gamma light, Wave X, and super photon wave. •	Earth is at the conclusion and beginning of another 26,000-year cycle. •	Time has gone synchronous - i.e. : living simultaneously in 3D, 4D and beyond. •	It’s time. We’re ripe for it. The Honeycomb: Are You Prepared for Change? gives an overview of the areas we will cover. This information is not intended to create fear in any way - rather it is to inform so you can consider being discerning, pragmatic and proactive in your preparation. I trust you had an interesting time with Module 1: Your Ancestors and Allies and that your discoveries are serving you well now. I had intended exploring Your Creativity in this second module – however, in the light of so many major issues impacting all life on Earth at present, I felt it would be more valuable to clarify and plan for those areas that may be affected in both challenging and wonderful ways, and to shine a light on how you and your kindred can thrive throughout the next decade and beyond. Choose love over fear. As always, it’s a matter of CHOICE. Many people say they’re not interested in preparedness as they choose to live in the now - and if anything happens they’ll deal with it in the now moment. Fair enough. The important thing is that your decision comes from a place of conscious choice. For myself, in the light of what I am witnessing, I would consider it folly not to prepare - at least minimally – to ensure that I’m not reliant on a crumbling system, while navigating my personal discovery of the indescribable ‘Unified New’. There’s no knowing how rapidly things will change – whether at the challenging or ecstatic end of the scale - and when, so please keep an eye on my blog as my posts there will support the exercises here in Module 2: Preparing for Change. ﻿Please review Module 1 - first by yourself, and then with your Buddy. Be easy on yourself throughout this review. · Are you continuing the 20 minutes daily movement and observation? · Have you had significant experiences and revelations during 10 minutes of daily silence? · Did you work with affirmations or conscious positive thinking? · Re-read your journal and Clarity Book and revisit your Honeycombs. · Balance is key. Continue with your breath and energy work. · Gratitude exercises first thing in the morning and last thing at night. · What have been your experiences of becoming the observer? · What changes have occurred as a consequence of your forgiveness activities? · Reflect on your discoveries in working with Your Family Tree. · Explore how your life has changed while working with the course. · Re-examine Your Kindred Star. Are there any changes you wish to make? Do it. · What connections have you made with any Allies in the Vertical Spirit Worlds? · Have you had contact with estranged or once significant people? Please continue to modify these exercises in ways that best suit you, pace yourself over the coming weeks, and do the exercises that interest you. Kindred may be defined as the chosen members of our family and friends with whom we feel most inspired and supported by, and harmonious and compatible with. Kindred may also be members of our spiritual tribe, beloved pets and animals, and common interest clan - creative, political, environmental, sports etc. 2. Looking Back. Looking Forward. Reflect on the changes in your life since the Solstice 21 December 2012. Share and brainstorm your changes since 2012 with your Buddy. Jot down and date your significant changes so you can compare them at later times. Now imagine and jot down the possible changes in the next few years. What would you like for yourself, your kindred and the world at large. According to Dr Joshua Stone, humanity has been at a place of ‘evolve or die’ six times before highlighting the ancient civilisations of Polaria, Hyperborea, Lemuria, Atlantis, Aryan, and Meruvian. The Paradisian Race is yet to appear on earth. That is us, or not. It’s up to each and every one of us to create a new and improved race by our intentions and choices. 100 years ago, who could have imagined the computer, jumbo jet, and mobile phone? What is the date and year 100 years from now? Even if you’re not practiced in remote viewing or visualisation, please take some time to imagine the possible the world of your or kindred’s great, great, great grandchildren. How has humanity evolved and/or devolved? Consider: Their homes, partnerships, friendships, education, healing, environment, technology, entertainment, inventions, vehicles, power sources, creativity, politics, communications, skills, talents and consciousness. Eventually technology may not be necessary. All done with thought? Those with low self-worth, high mistrust, low deserve-ability, and self-sabotage issues can be pretty sure they’ll find all manner of ingenious ways to limit their finances, good fortune, and satisfaction with life. They will argue their limitations thereby ensuring their continuation. On the other hand those with high esteem and feelings of security and acceptance are most likely to attract abundance of all kinds – finances, opportunities, friends, gifts, invitations and goodwill. They accept them as natural. Disregard what is inapplicable to you and add your own ideas. Print it out, colour or tick as you complete and file in your loose-leaf folder. Work to organise and complete all exercises on the honeycomb cells within two months if possible. While researching this section, I was astonished to discover that only 50% of adults in UK, Australia and USA have a valid Will – i.e. : adults 18 years and older. This may also be true of in other countries too. Congratulations if you are one of the ones who have an up-to-date Will. I have written a comprehensive guide ‘Before You Die - A Guide to Writing or Revising Your Will’ to assist those of you who need to write or revise your Will. Although this information focuses on the law in NSW, Australia, much of it will be relevant to your state and country. While it is true that you can legally write your own Will, you are nevertheless advised to seek professional assistance, particularly if your situation is complex. A thorough internet or library search, and discussions with your solicitor or the Public Trustee will point you in the right directions for a thorough preparation of your Will, and you may wish to also and funeral director to discuss any special requests for your funeral arrangements. It may be useful to first contemplate your feelings about death and dying privately in order to be well prepared before talking with loved ones. You may choose to have some sessions with a counsellor, doctor, carer or death doula. It is a very emotive subject and many are in denial or simply too afraid to discuss all the issues openly and with confidence. Studies reveal that the fear of death (thanatophobia) often comes after the fears of public speaking; insects, bugs and rodents; heights; financial problems; the dark; flying; and intimacy. The fear of death may be broken down into sub-fears including the fear of pain or suffering; fear of the unknown; fear of non-existence; fear of eternal punishment; and fear of what will become of loved ones. Establishing a compassionate environment for candid conversations will make everyone more relaxed, thus making important decisions easier to make. Remember at all times that it’s a delicate subject that needs to be treated with sensitivity, as there may be continued unwillingness, extreme emotion and even tears. Awkwardness and discomfort may be intense for some time so please be open to talking a lot and often about the subject, making your wishes known, sharing honestly, and in creating a safe listening space for others to express themselves without anxiety. Have you discussed the fine detail of your Will with your benefactors? Where are your Will and its copy located? Who will administer your estate and carry out your wishes? Do you foresee any problems, and if so, how can they be minimised? Enquire whether the adults in your family and kindred all have legal Wills. Does your Will reflect your current wishes? How well are you prepared for death and grieving of loved ones? How can you best prepare your end-of-life choices? Discuss what you would like for your funeral and wake. Researching how to write a compassionate letter of condolence. How to deliver a heartfelt eulogy. 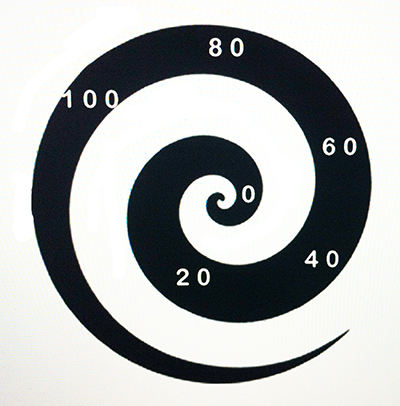 Locate your age and the ages of your loved ones on the spiral of life. Contemplate your situation and outline in your Clarity Book before discussing with your Buddy and your close adults. If you need to write or update your Will, I trust the information in this section will be of benefit to you. Print ‘Before You Die’ and tick off each component as you complete it. Save the pages in your loose-leaf folder. If you don’t already have a Will, I urge you to complete one as an important component of the Clarity for Life Course. I encourage you to begin the process today and do your best to complete it within a month or two. Put aside any procrastination and do it for your own peace of mind, and potentially that of your loved ones. When your Will is completed with your signature and the signatures of two witnesses, store the original safely and notify the executors of the its location. Having a copy of your Will among your important documents is another mark of a mature and responsible adult. Imagine the sense of accomplishment you’ll have! Discuss your personal experiences of death and bereavement with your buddy. Death literacy. Research ways of improving your knowledge of the final stage of life and clarify your wishes. Who would you like contacted when you die? Make a detailed contact book. Itemise all personal and joint assets - property, insurances, possessions and their approximate values. Brainstorm and itemise all debt - loans, credit cards, goods and services. Discuss the location and amounts of retirement income such as superannuation and investments. Do any of these income streams need consolidating or updating? Are important documents current and where are they kept? Who will be the beneficiaries of your estate and why? Discuss the specifics of your Will with your executor/s. Determine your special financial consideration for your executor/s efforts in finalising your estate. Discuss whether you will enrol the Public Trustee, legal aid or your solicitor - or will you write it yourself? Have you made responsible decisions for your spouse, children, grandchildren and friends. How will you take care of your pets and other animals in your Will? Sponsorships of local or overseas children, orphanages, school, charity or project. It is rather entertaining to research the Last Will and Testaments of the bizarre, caustic, and some celebrities! Link to ‘Before You Die - A Guide to Writing or Revising Your Will’ .